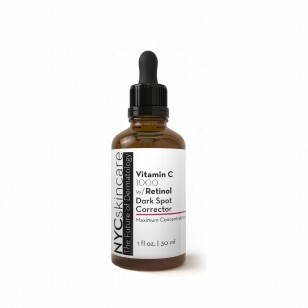 This power serum combines the anti-aging power of Vitamin C with the Collagen boosting repair abilities of Retinol, and may help improve the appearance of dark spots and pigmentation. Vitamin C is well known for its super antioxidant qualities, combined with Retinol, the anti-aging are exponentially elevated. Retinol is a form of Vitamin A. Together the combination of actives may help improve the appearance of fine lines and wrinkles. Vitamin C may also help reduce the appearance of dark spots.